Back in the late 1940s, if you were in Kansas City on a Saturday night, you may have well listened to or attended KMBC's Brush Creek Follies. And a show that had some links to this chain of hillbilly music. 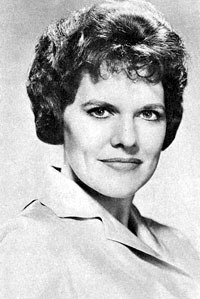 They said that the Follies were the only radio-stage show of its type in the Heart of America. Let's start with the emcee of the show, Hiram Higsby. Name sounds familiar to you, doesn't it. No doubt it does. 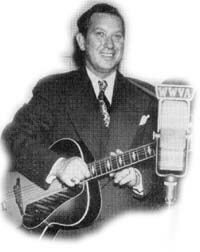 He was part of the "Hiram and Henry" duo that were regulars on the WLS National Barn Dance out of Chicago through the mid-1930s. Henry passed away around that time, so Hiram went it alone and later was even an announcer on the Barn Dance. 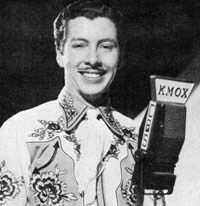 We should also mention that Hiram did so well as an announcer, and through his work at other stations in his career that he was elected to the Country Music DJ Hall of Fame in 1995. Calling it the Brush Creek Follies gave it a bit of a local touch for that area, but it wasn't just a local show, for it was also on coast-to-coast on the Columbia network at the time. 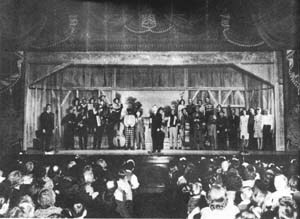 While its stage setting may have been a barn, it was like the Barn Dance in a sense with the variety of entertainment that was apparently part of the show. For instance, we have Uncle Jed Starkey who was a bit of a comedian and played 'instruments' such as a balloon or a nail puller or a flageolette, tonet, 'sweet potato' and even some regular instruments. Then there was a magician by the name of Tim West that was a part of the show, too. His catch phrase was "It's fun to be fooled". And they say the audience usually agreed with him. 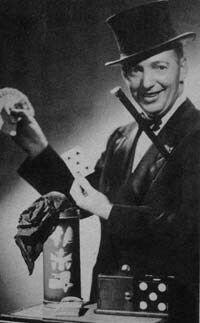 He was said to have been famous for his ability to do one of the more difficult tricks - the "Vanishing Birdcage". We also have the Rhythm Riders, who were also a part of the WLS National Barn Dance cast at one time, too. 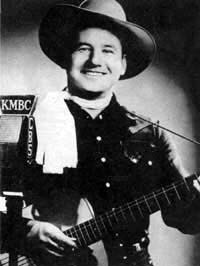 They had a daily feature show over KMBC at 5:30pm called "Western Echoes". And other shows, too. 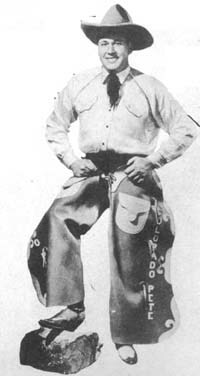 Other cast members included Colorado Pete who had the 'biggest gold tooth east of Cripple Creek', Don Sullivan, who won first prize on a Major Bowes show in 1937, the Tune Chasers and a black-faced comedian by the name of George Washington White.  The Brush Creek Follies!